How The Media Can Manipulate Our Viewpoint. Found this on Facebook. 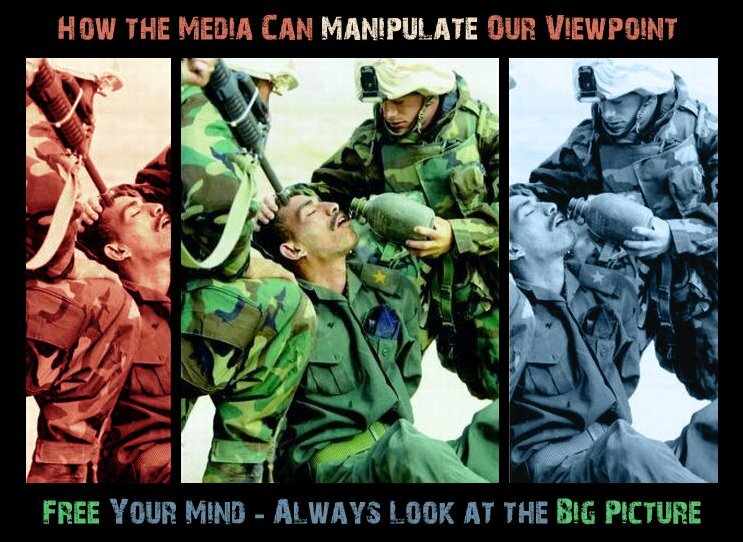 No clue as to the original source.. HD Wallpaper and background images in the Debatte club tagged: politics the media manipulation big picture whole picture think for yourself. Really interesting picture, and thought-provoking. Was this picture created for the purpose of the poster, or was it an actual photo from a war zone?